Please, fix the link. Thank you! Great. I contacted a while ago these databases that list threats and asked to be removed from their black lists. It is amazing how slow this process has been. I'll never know if this blog was badmouthed as an attack site by AT or if something else went on. Probably AT. What's more important - spreading music and ideas, or income for people who never got a real job? too bad you missed their hip hop albums my friend, THEY kind of changed the world (of music at least). and they are way better doing hip hop than punk rock from what I know from this EP. Anyway, I'm still loving you, scorpion ! It's true - they really opened the door for whiny white guys to hip-hop. Ah, I tried, but no. Uncle Slam is my limit. Hardèchecore. 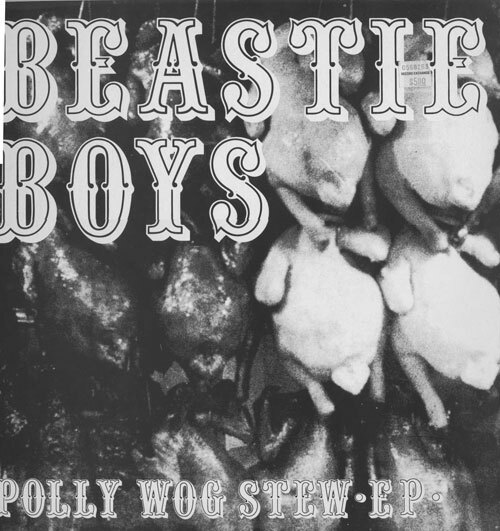 If you like Polly Wog Stew, here's one you'll also like. Beastie Boys-Aglio e Olio recorded 1995. And no Rap on it. Enjoy, D-RECK.